Putting the wishes and needs of our clients first. It is a promise that many companies make, but MPS has already proven to put this promise into practice. Day-by-day, year-by-year. Machine operators are amazed by the smart, patented and award-winning innovations that make it easy to maintain the highest output quality. Sales and middle management are pleased with the high level of flexibility, reliability, predictability and cost efficiency our printing presses offer, enabling them to deliver what they sold to their clients. And, last but not least, upper management and other stakeholders are delighted about the fact that the outstanding performance of the MPS printing presses goes hand in hand with cost efficient technology. Making it possible to sustain and even increase profits in a very competitive global market. It’s the ‘printers first’ mentality, that has made MPS one of the leading players in the international label & packaging print market. Optimal automation MPS fundamentally believes that today’s market place has an intrinsic need to automate press settings in order to drive down the cost price per 1,000 labels, especially for short runs. MPS has therefore introduced a revolutionary innovation using servo-drive technology. 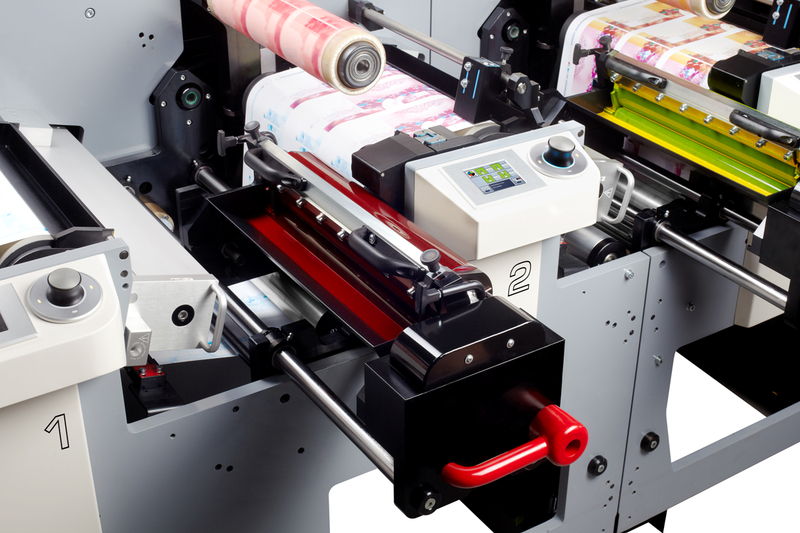 Automated Print Control (APC) technology allows the operator to set print pressures automatically. So next to the generic press settings also print pressure settings are automated. Together with job memory repeat jobs are reproduced extremely quickly and automatically! User friendliness is the key When the machine/operator interface is not optimal, the gains from automation to reduce set up waste are quickly lost. MPS with its philosophy of “Technology with respect” has developed a unique press control system for the operator: iControl guarantees unique press control by an optimized operator interface. Makes life easier for the operator When more and more different web paths are required, it is becoming increasingly difficult for the press operator to achieve a good productivity. With more complex products to run, it is harder to maintain the required set up figures. Auto Teach technology is automatically teaching web paths to the main machine control. Auto register with respect The user-friendly web/cylinder comparison system is now combined with a mark to mark register system. This mark to mark camera system sets the press in register automatically without operator intervention. Flexible repeats The unique digitally controlled servo drive system of MPS allows the operator to adjust the print repeat length to meet your customer’s exact requirements. This technology is not only used to print metric repeat sizes but also to print exact product lengths. The ultimate “snap back” control technology! Don’t stop the press! There is a huge demand in the market for hybrid solutions. Run lengths are shrinking as order variations are growing. With our NPC technology, a unique servo drive system, the operator can change designs without stopping the press! For ultimate flexibility MPS Systems has effective solutions to integrate all necessary converting functions. Most of these converting functions do not engage a print unit! These converting technologies can be installed randomly throughout the complete press. For the print quality you demand Thanks to the advanced Crisp.Dot technology the printing systems result in minimal dot gain, a full round dot, good ink coverage in solid areas and sharper printing of smaller fonts. This enables you to print even the most demanding quality labels, flexible packaging and carton board. The non-driven, rubber impression cylinder result in a tension free zone in between plate and impression roller which increases the life time of the plate as well. cost-effective MPS press ever built! packaging printing, on unsupported film or carton board. material thickness settings. EF, the ultimate choice! Our presses set new standards in high quality Flexo, Offset, Screen and Gravure printing on materials ranging from ultra-thin mono films to thick carton board. These trend setting presses have a truly revolutionary design with leading edge innovations. The presses of MPS are developed with absolute focus on the most important aspects: print quality and the lowest cost per 1,000 labels. Furthermore, MPS press operation and control guarantee optimal operator satisfaction, resulting in immediate higher print quality and lower waste figure. We offer a wide range of presses to meet your specific printing demands. Today and in the future.